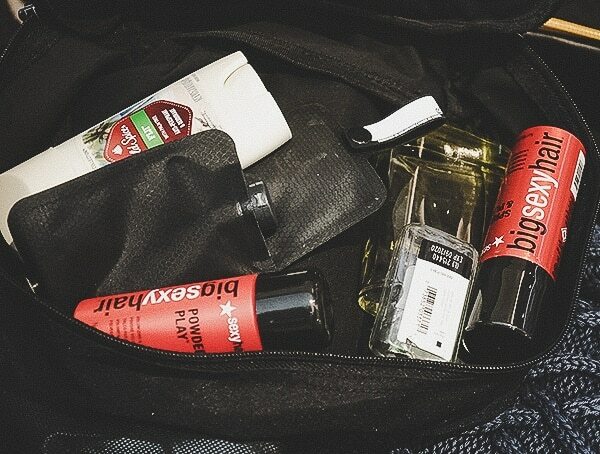 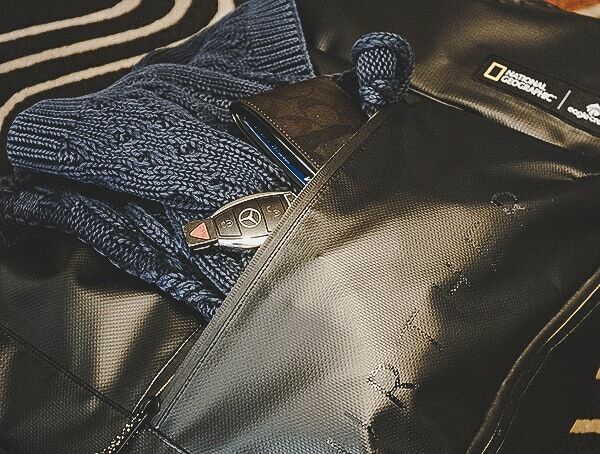 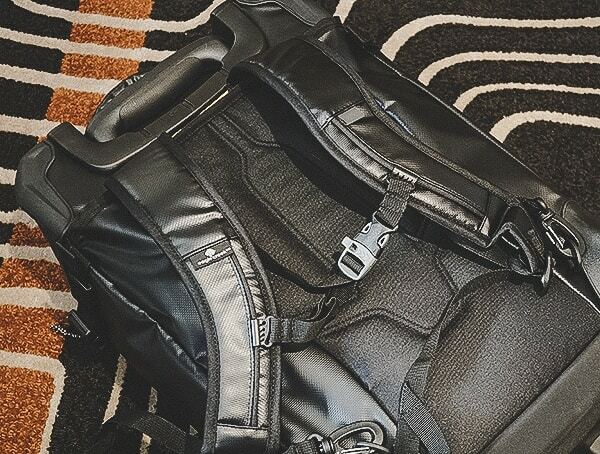 The best travel gear is made by the well-traveled themselves, those who savor the discovery of the new and bold, and understand better than anyone what’s needed in a travel bag. 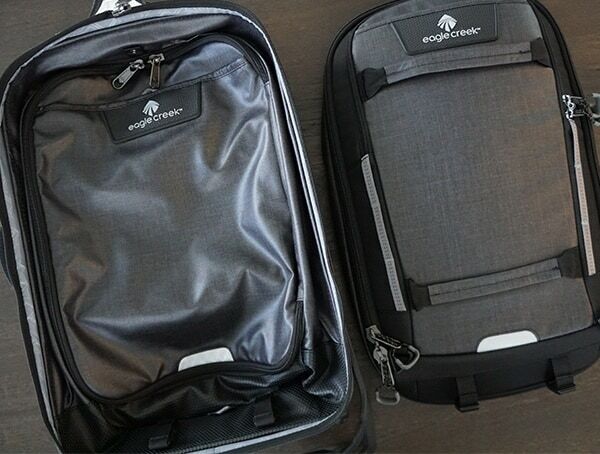 Boasting over 40 years of experience in outfitting the world’s most capable travelers, Eagle Creek believes that knowledge is the adventurer’s best tool, and thanks to an ever-growing network of partnerships with some of the world’s leading bloggers, the company has an earned its rightful place as both a quality gear supplier and equally invaluable travel expert. 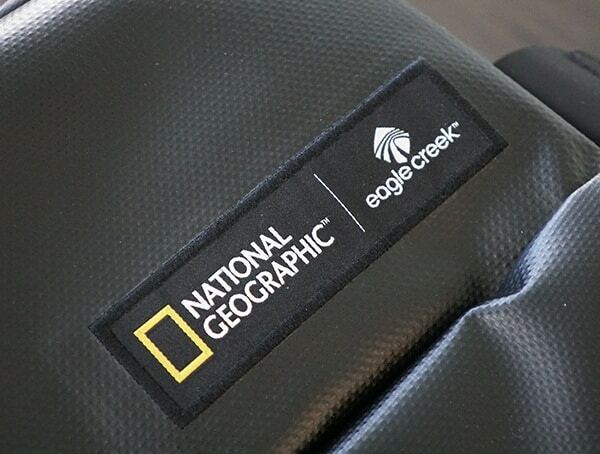 Eagle Creek customers make up a global community, with a mission to make a positive environmental and cultural impact. 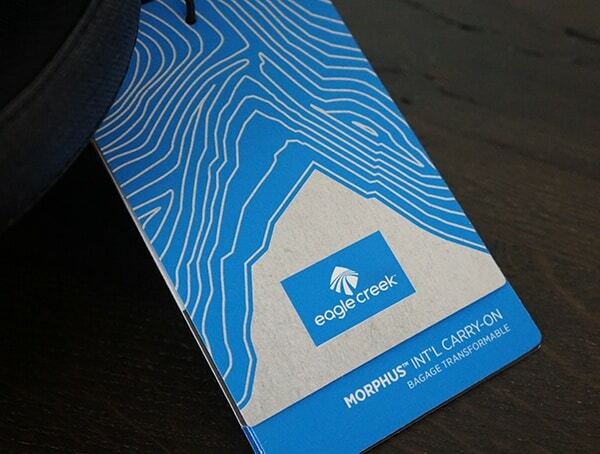 Beginning with well-constructed, sustainable materials, Eagle Creek strives to deliver products as good to their word as their philosophy. 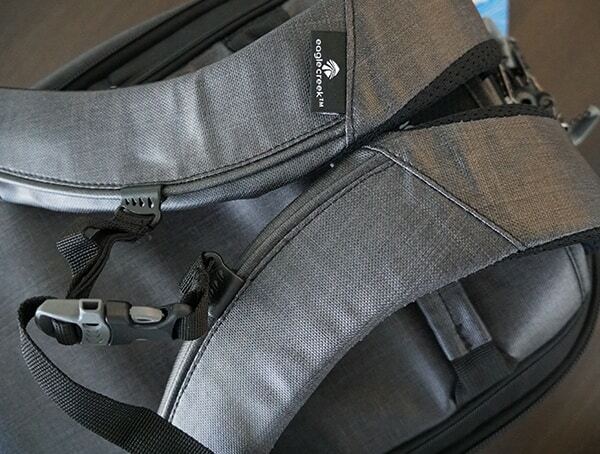 By supplying travelers with gear built for venturing into the unknown, Eagle Creek packs, duffles, and totes live up to the highest standards of outdoor utilities, while giving back to the planet we move on. 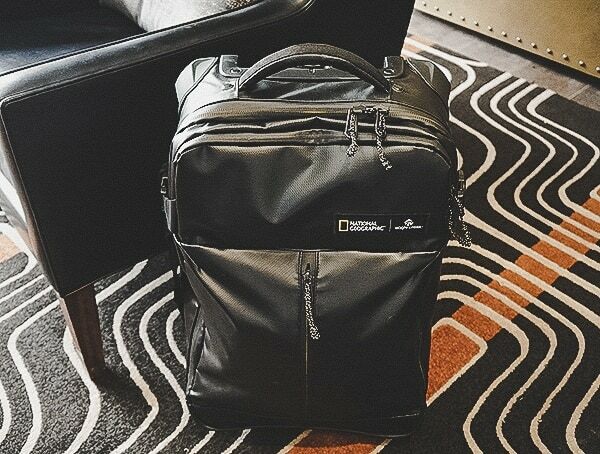 Inspired by the myth makers and innovators of National Geographic, Eagle Creek’s latest collection features an explorer’s club of bags, totes, carry-ons, and compression sets, guaranteed to lend epic proportions to even the shortest journey. 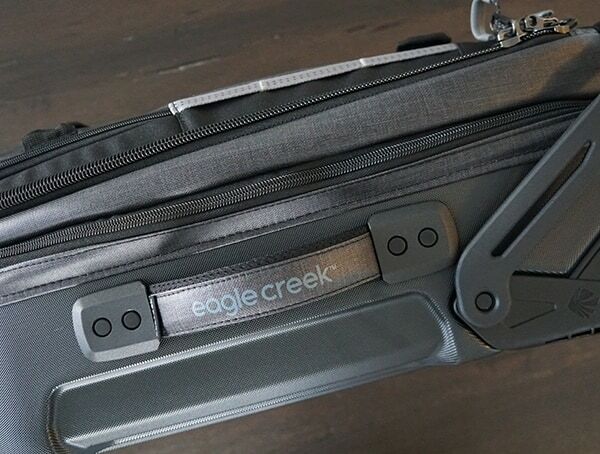 Eagle Creek offers ongoing news, tips, and advice via their blog and submitted written/video diaries to encourages travelers to make the most of their journey, from choosing the best pack for one’s destination to optimal organization how-to’s. 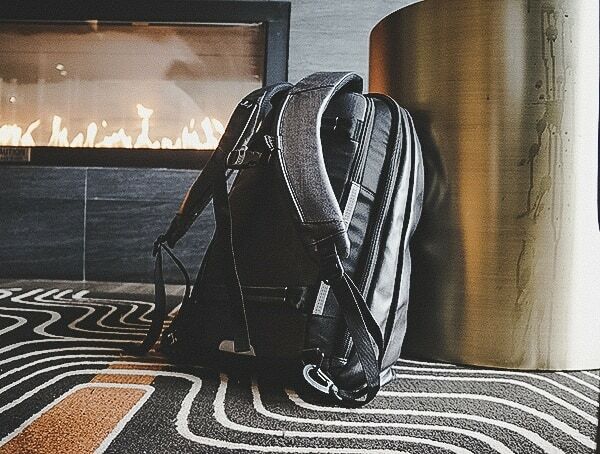 By establishing a lasting relationship with their customers and encouraging ongoing growth through exploration, Eagle Creek is the travel companion you’ve long been looking for. 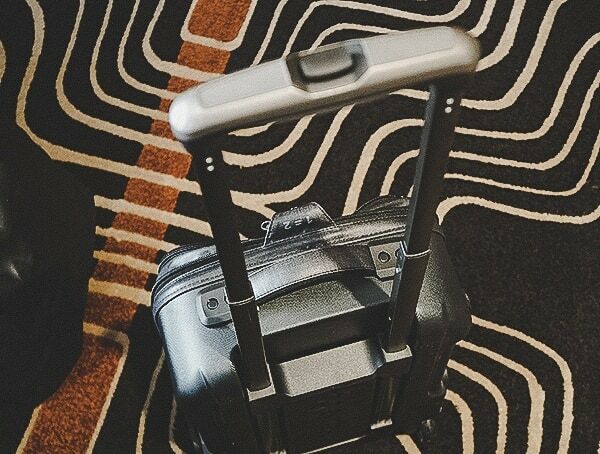 The only question left to ask is, why not get started on your own unforgettable story in the great and soon-to-be explored unknown? 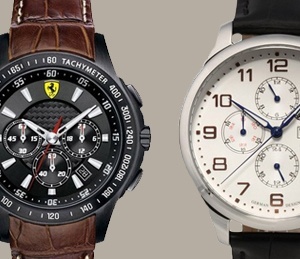 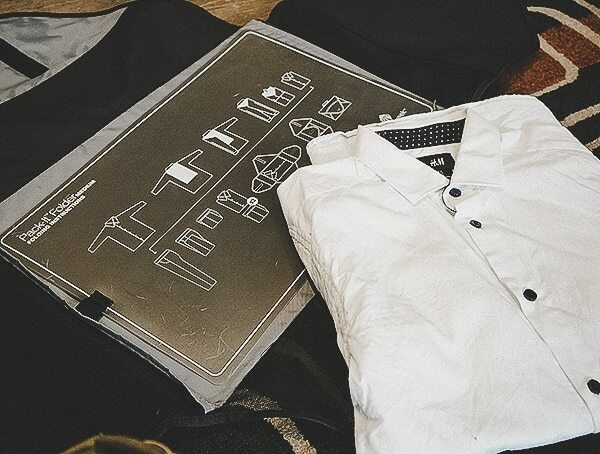 – Three-in one design can be worn on shoulders, wheeled, or separated. 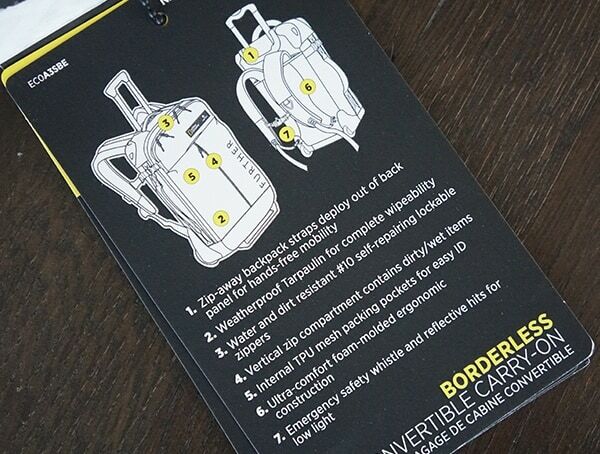 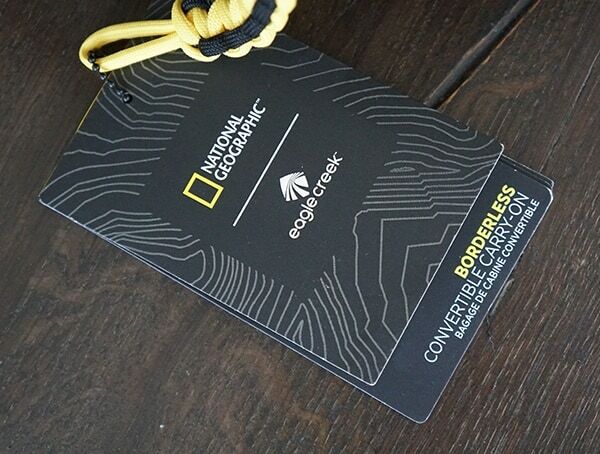 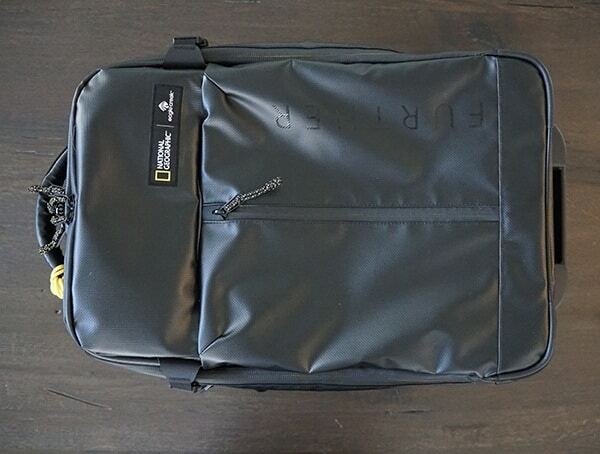 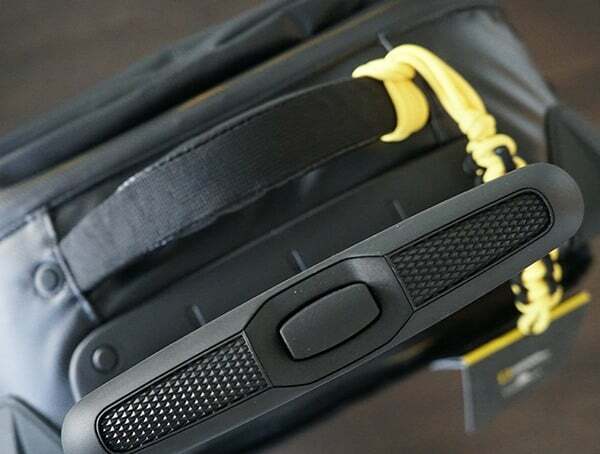 One of the most durable and versatile pieces of carry-on luggage available, the Borderless Convertible Carry-On Suitcase was inspired by and designed for explorers for National Geographic! 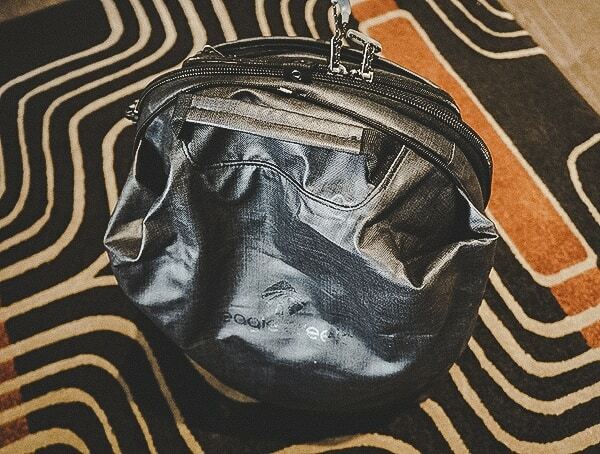 Anticipating your every travel need, this bag has every base covered for you, your trip, and your belongings. 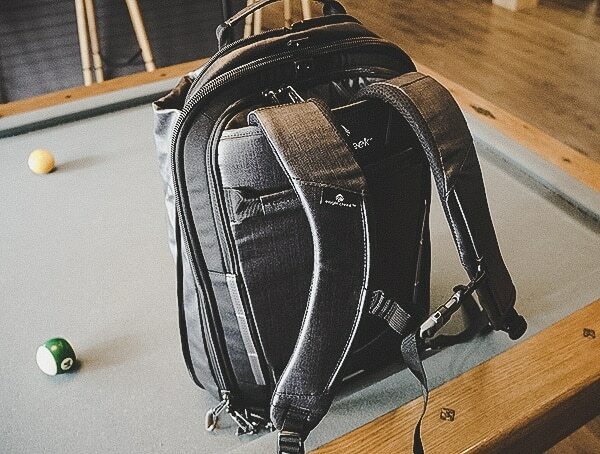 You can roll it or convert it to a convenient hands free backpack with its zip away backpack straps that deploy out of the back panel. 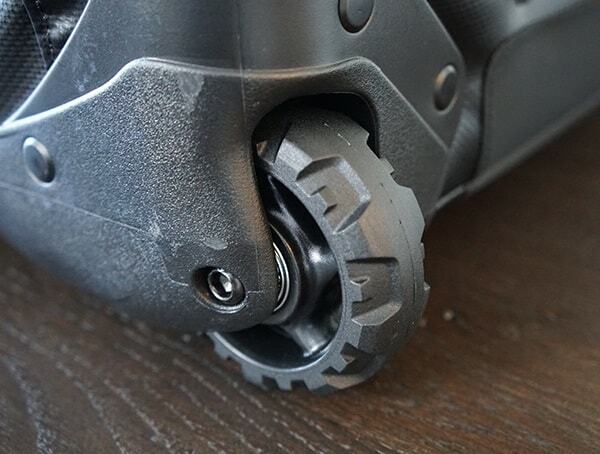 Its durability is exceptional and its resilience is unmatched. 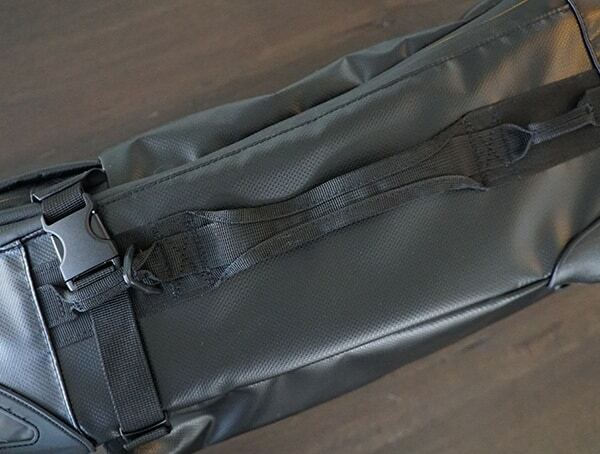 This bag’s structure and components were specially designed to withstand wet, harsh conditions and uneven, rugged terrain. 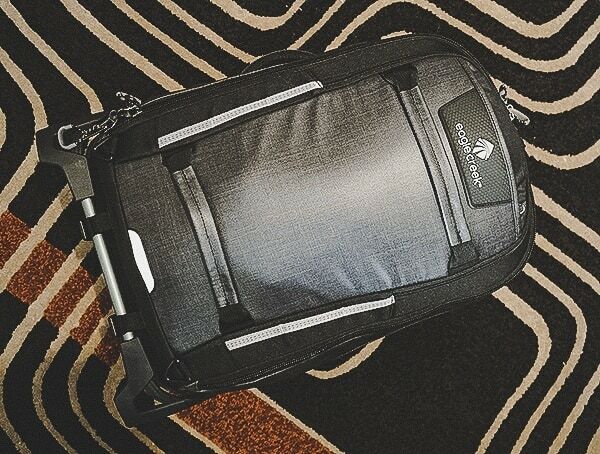 You can take it on the roughest of hikes or snowiest of ski trips. 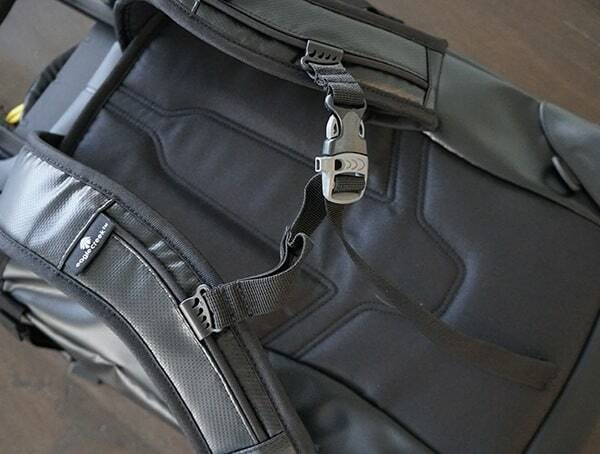 Its exterior layer is incredibly strong, comprised of tear resistant and weather resistant Tarapaulin and Bi-Tech Armor Lite material. 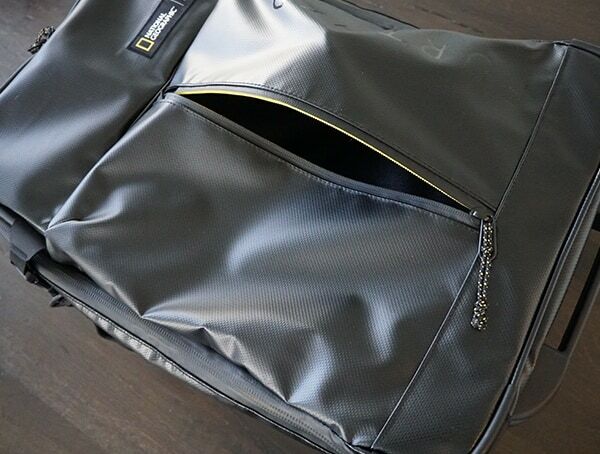 It is difficult to rip and will definitely keep your belongings inside safe and dry, and it’s lightweight! 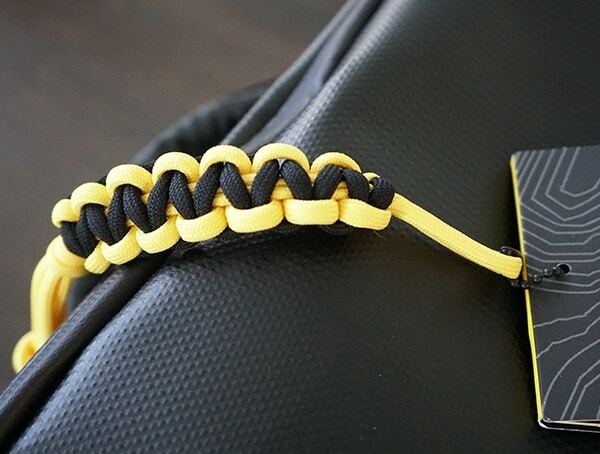 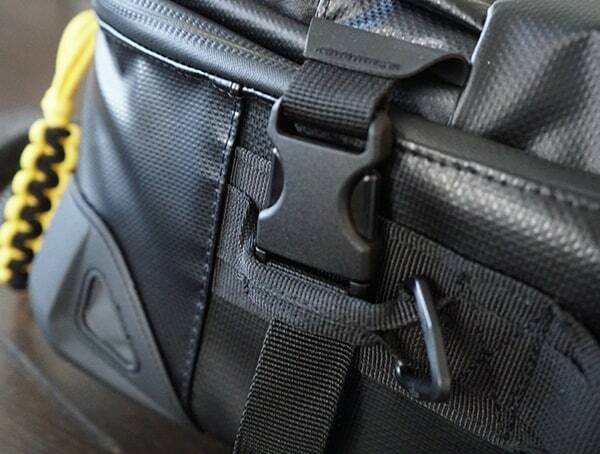 The #10 reversed and lockable zippers are incredibly durable as well. 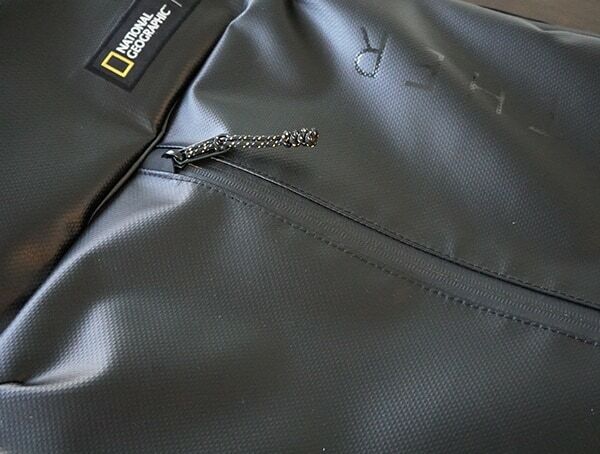 Coated with a PU sealant for maximum weatherproofing, the zippers are water and dirt resistant, and even self-repairing. 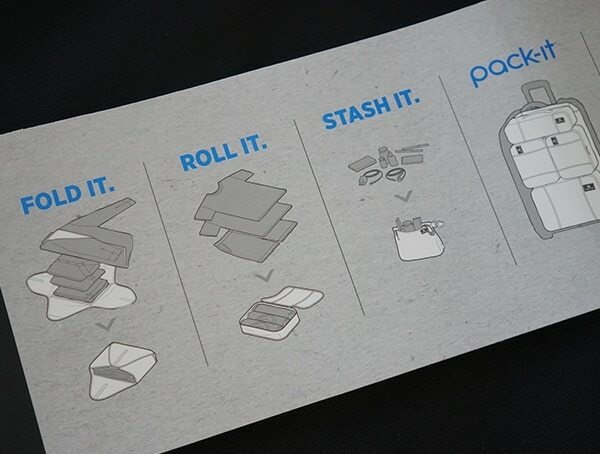 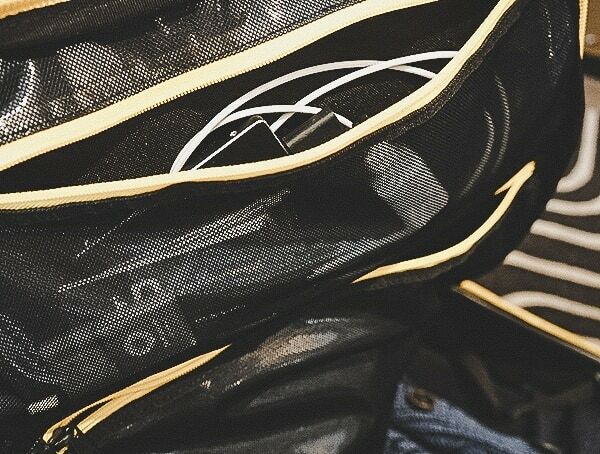 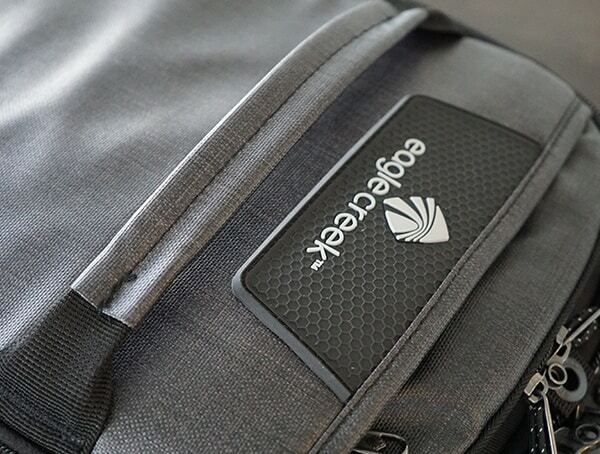 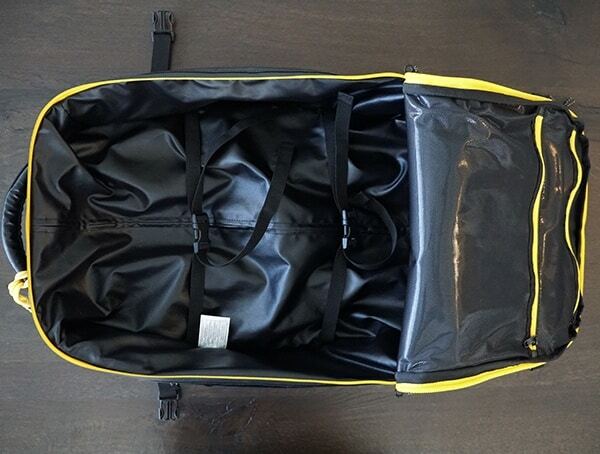 The bag has a vertical zip waterproof stash compartment on the front to store items like phones safely and dryly. 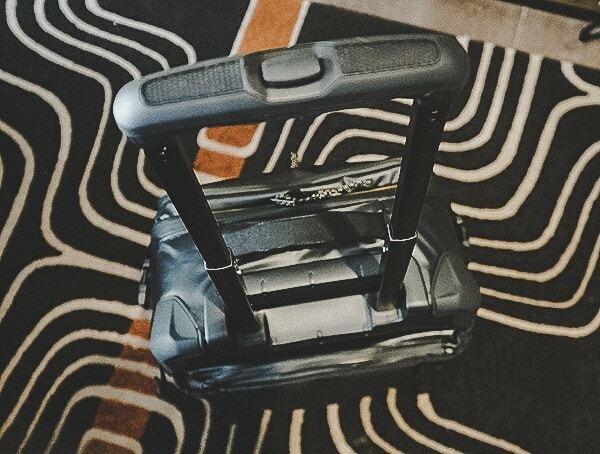 Also capable of rolling through fairly rough terrain, the Borderless Convertible Carry-On’s wheels are sturdy and treaded, to conquer any path that lies before you. 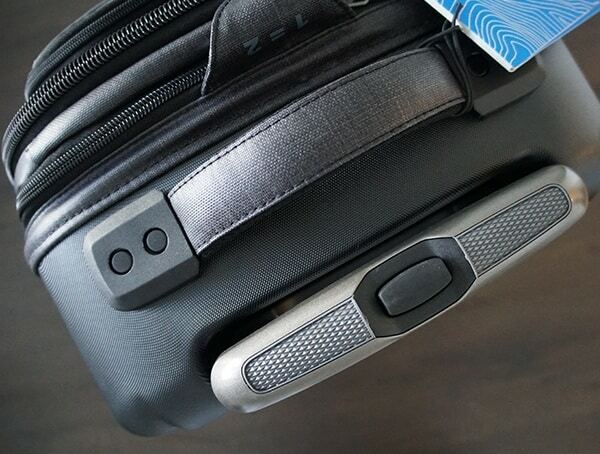 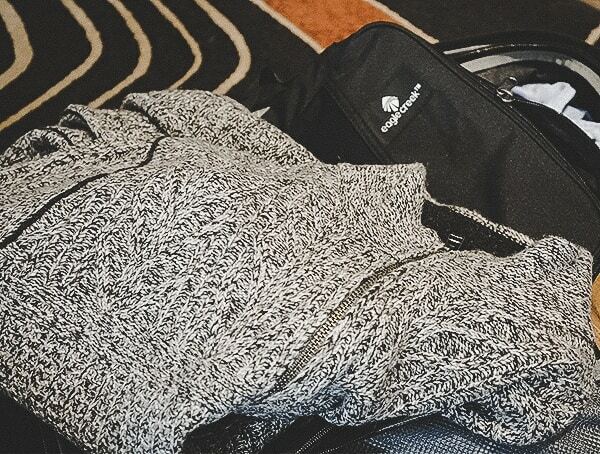 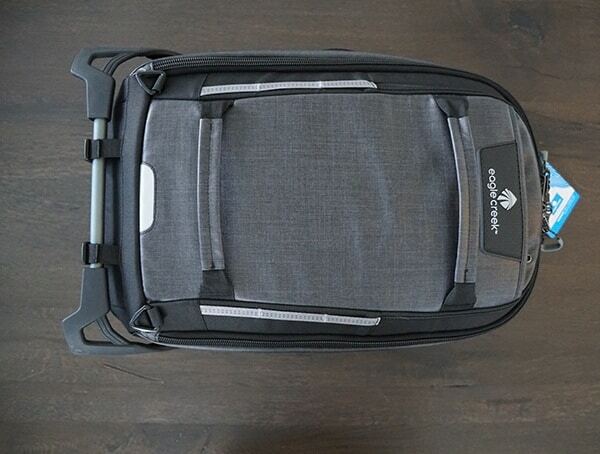 The Borderless Convertible Carry-On is also built for maximum comfort. 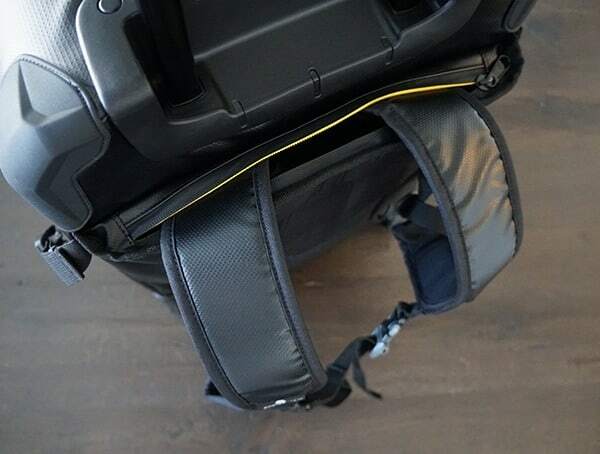 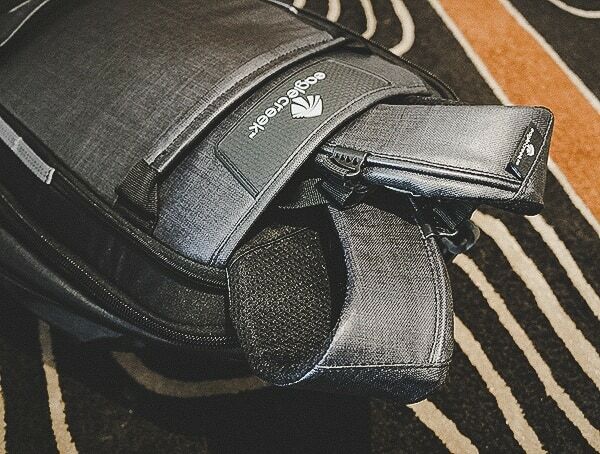 Its back panel and backpack straps are foam-molded to provide a comfortable ergonomic fit that will help to reduce tension and pain that may be caused by extended wear. 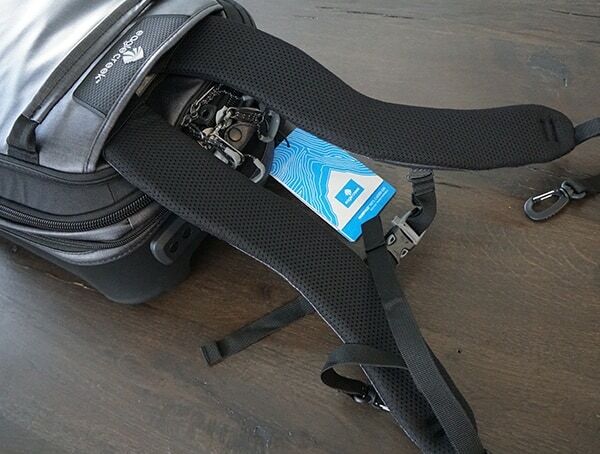 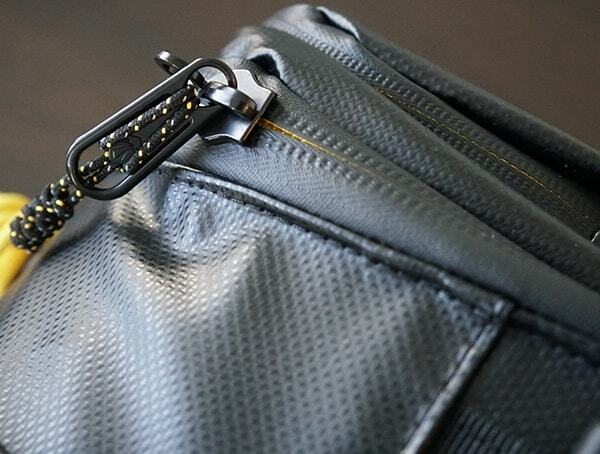 It features various convenient carry handles and a handy mesh ID luggage tag window. 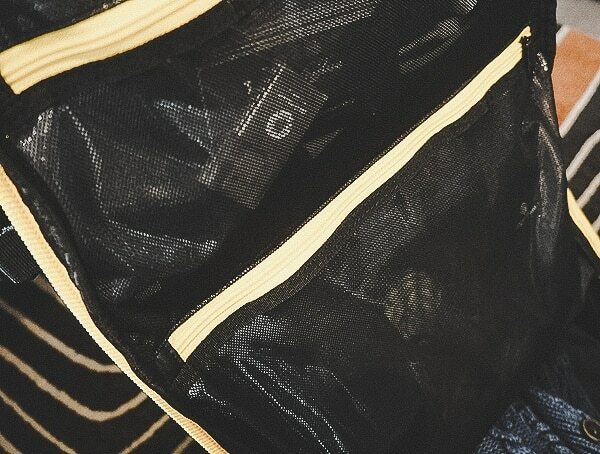 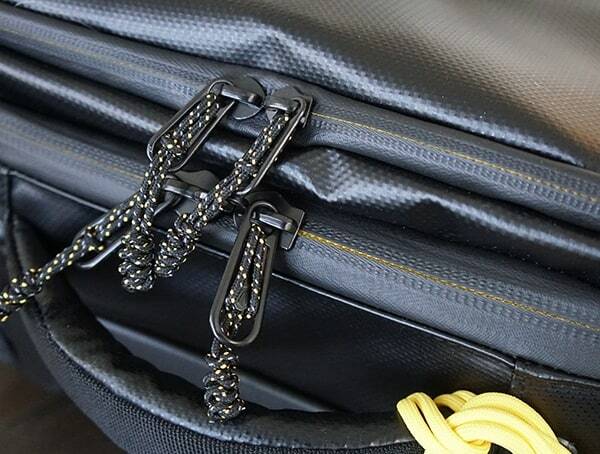 The suitcase includes compression straps, a daisy chain, and a D-ring for easy attachment of gear and extra items. 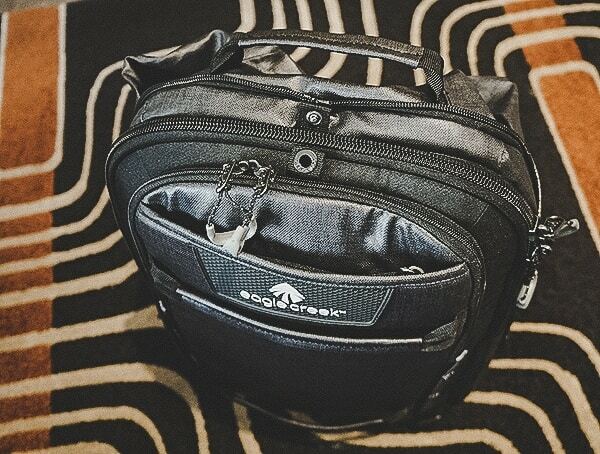 With multiple pockets and components throughout, you’ll have a special spot for each of your belongings, making organization a breeze. 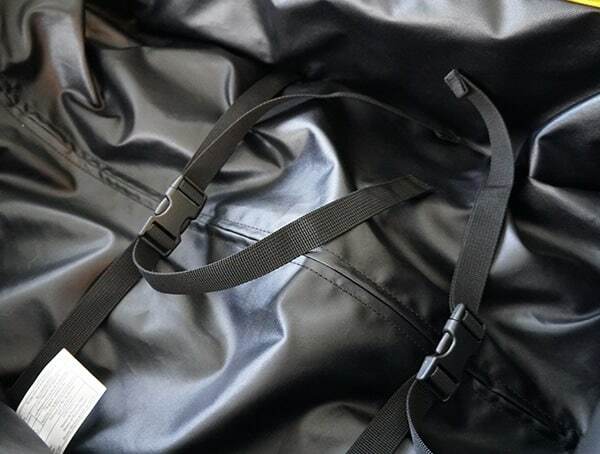 With safety in mind as well, it features reflective sections for maximum visibility, especially in the dark, and even includes an emergency safety whistle! 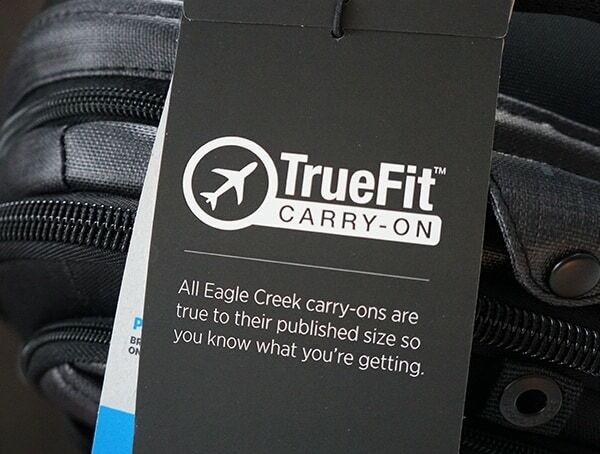 Measuring 14 inches by 22 inches, the carry-on weighs seven pounds, three ounces and has a capacity of 40 liters. 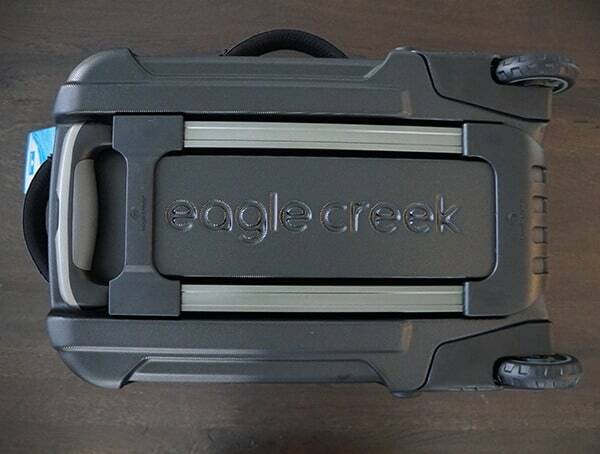 PVC-free, it also includes an Eagle Creek No Matter What warranty. 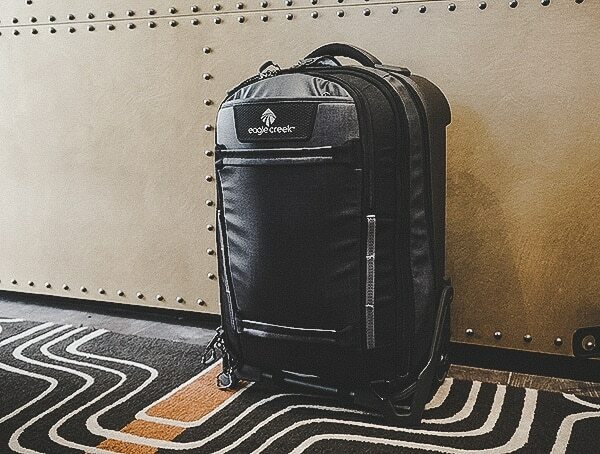 The Morphus International Carry-On is not only the world’s largest, but also the world’s best carry-on suitcase for nearly countless reasons. 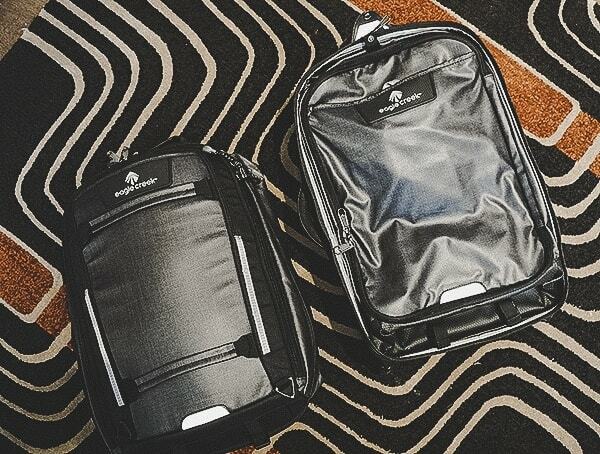 Basically three bags in one, this suitcase takes care of your every travel need, from space to comfort to convenience to style. 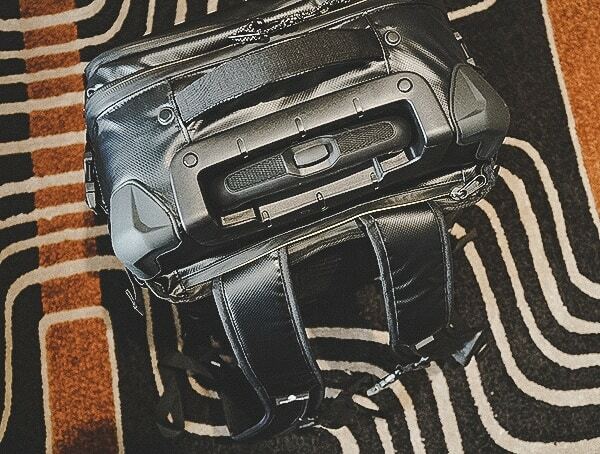 For ultimate versatility, you can wear this carry-on on your back, roll it by its handle, or separate it into both a backpack and a rolling suitcase and use them both at once. 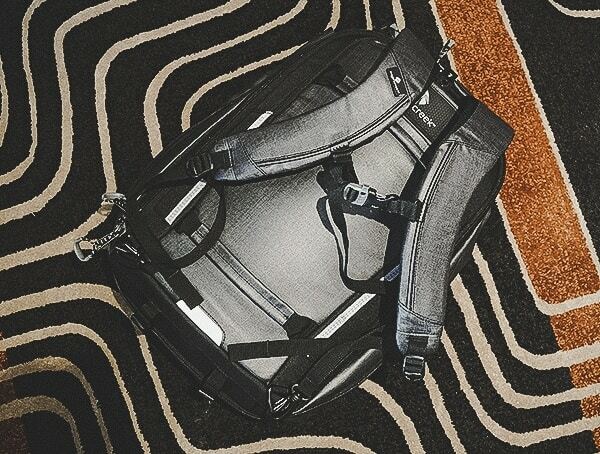 It features a 32 liter wheeled luggage piece, plus a 35 liter backpack you can use separately to expand your carrying capacity to double. 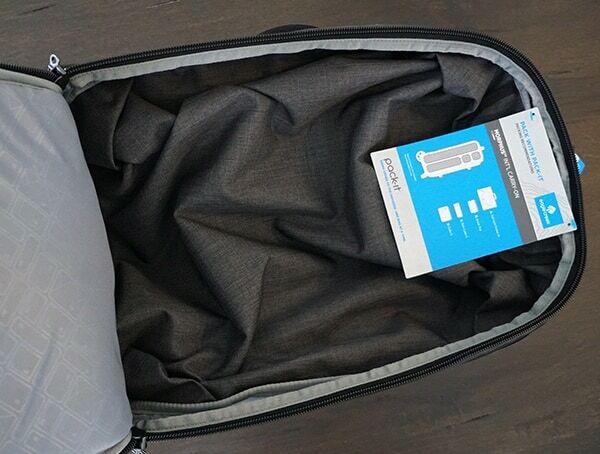 With this model, you definitely won’t have to worry about accumulating too many things for your trip home. 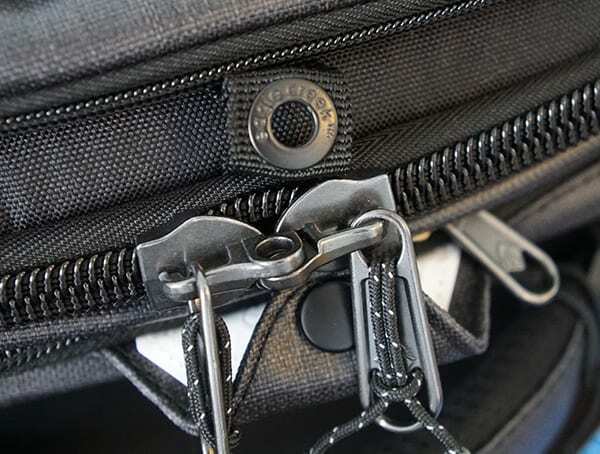 Lash points provide space for gear attachment and tie down points for any additional items. 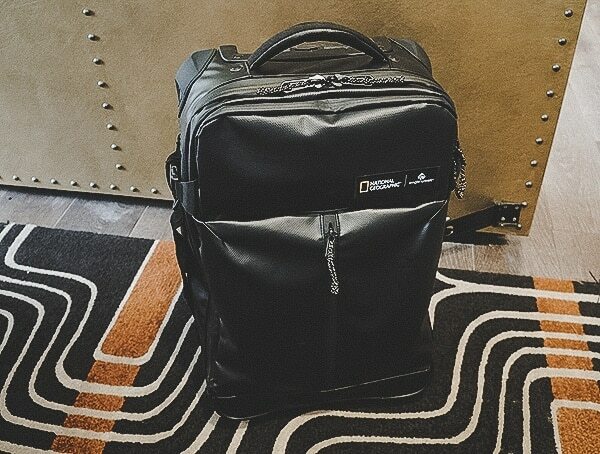 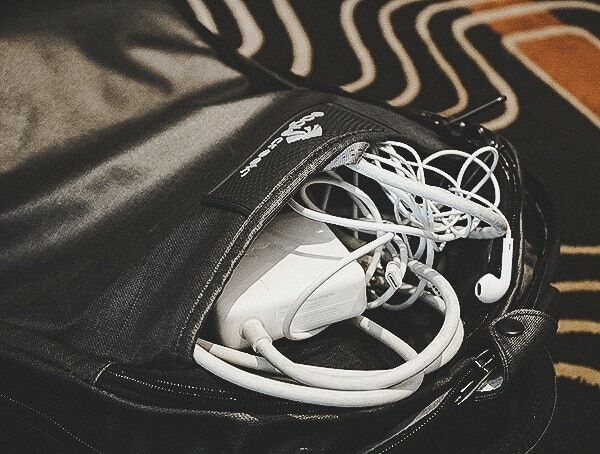 No matter where you travel, you will undoubtedly have your laptop. 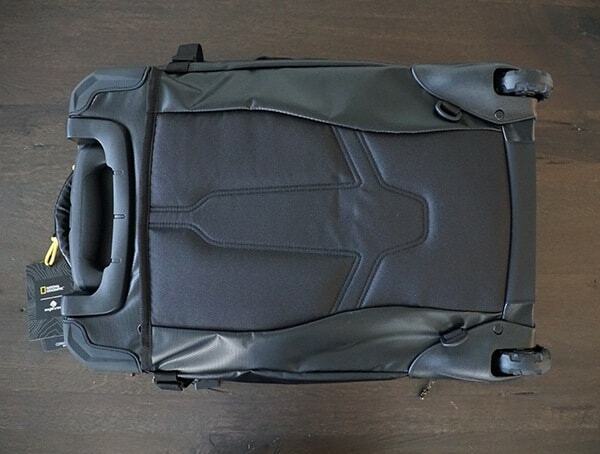 Well, fear no more about transporting it with this amazing carry-on suitcase. 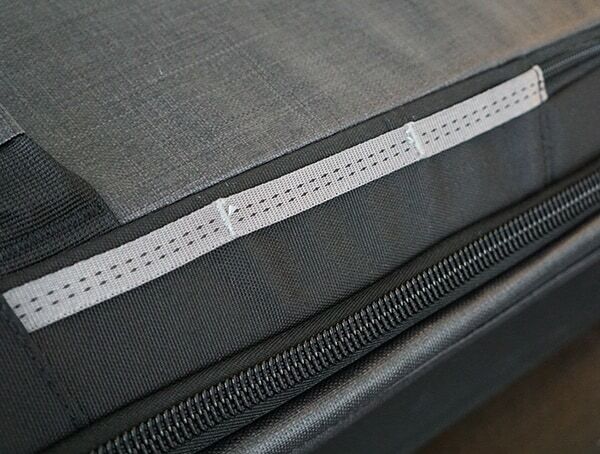 It features a large 15 inch laptop or tablet compartment that will safely and securely store your precious computer with more than ample padding and support. 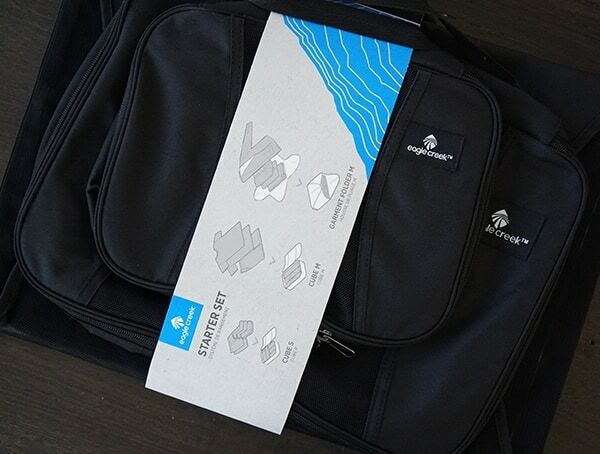 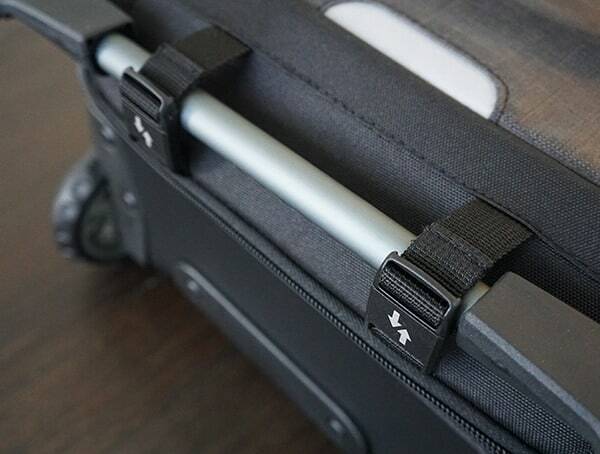 Simply slip in your laptop or tablet, and rest assured that it will travel well and unharmed. 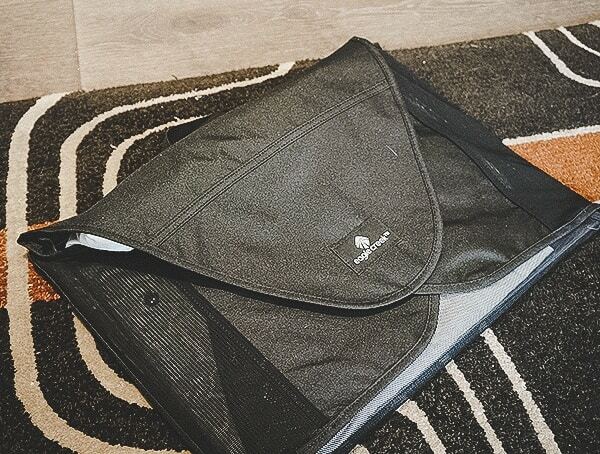 Its incredibly durable construction and weatherproof fabric makes it resistant to rain and harsh conditions, so your belongings will be protected and dry. 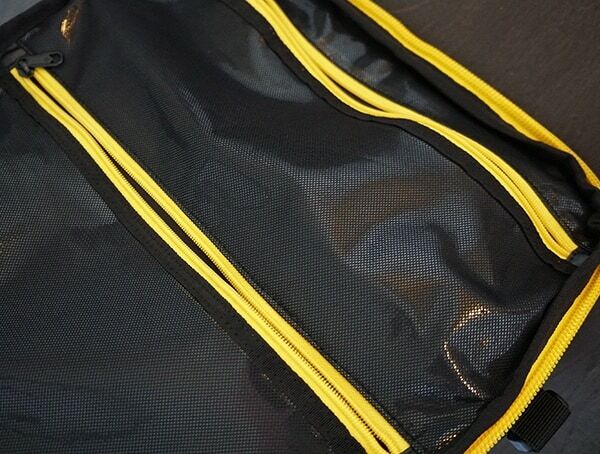 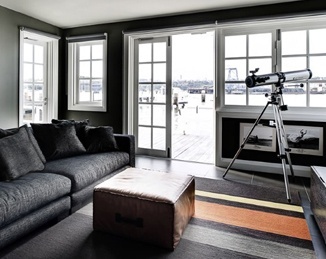 The outer material is also easy to wipe down and keep clean. 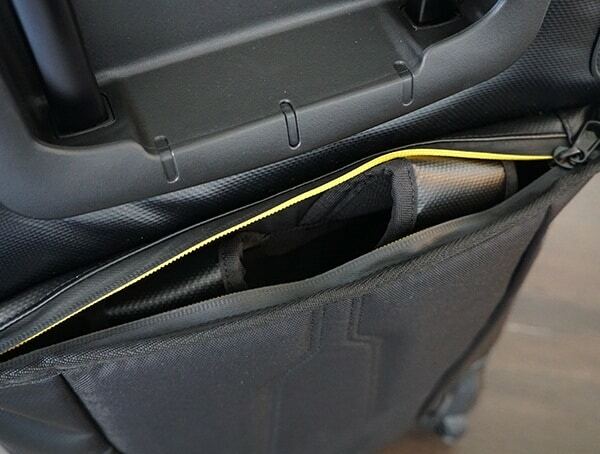 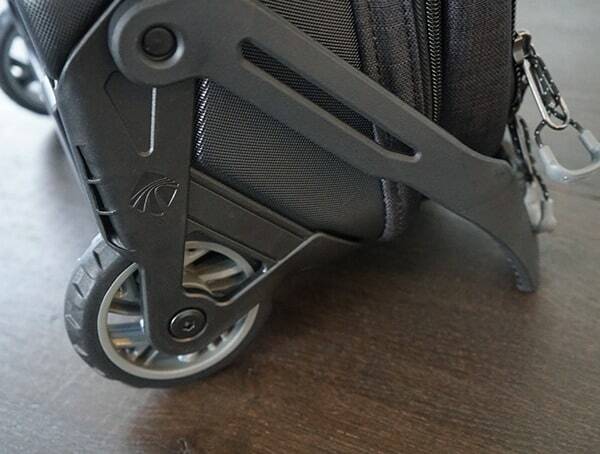 The carry-on’s sturdy wheels roll easily over even tough terrain and the zip away suspension protects the wheel mechanisms. 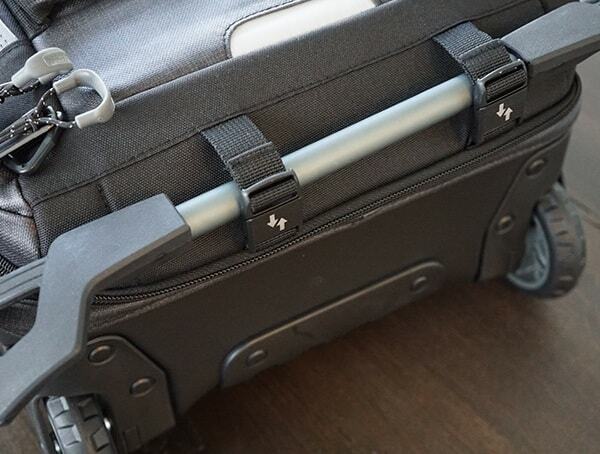 The new ExpandStand hinged foot at the bottom provides even more security by stabilizing the base of the suitcase while rolling, and can be removed for easy storage. 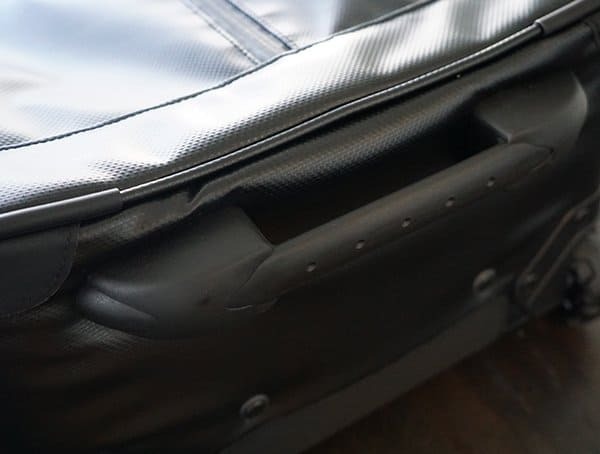 Built for longevity, the Morphus International Carry-on will last you for years and years to come, but if something should happen, Morphus offers a lifetime No Matter What Warranty. 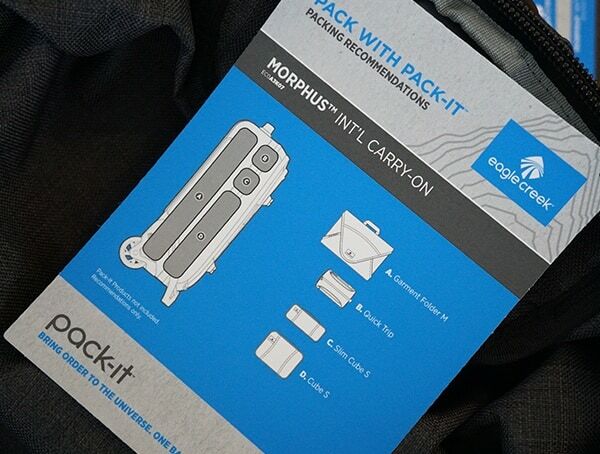 The perfect travel companion and certainly a must have for all travelers, the Pack-It Original Starter Set includes everything you need to intricately organize and neatly pack all of your belongings into your luggage. 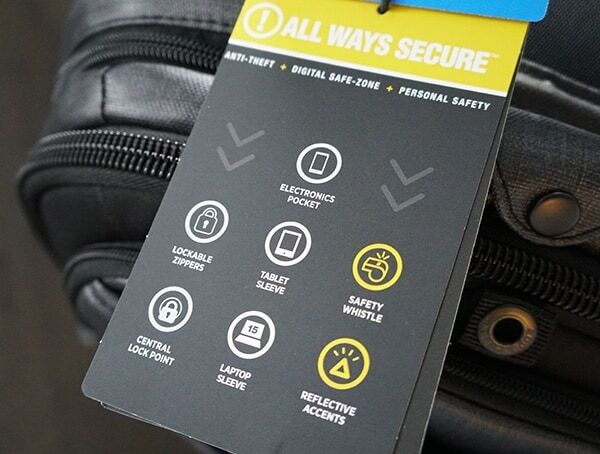 With this handy set, you’ll never misplace or lose anything again! 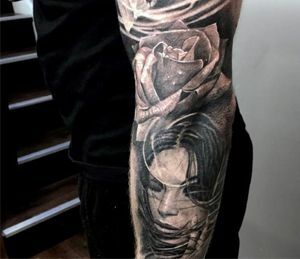 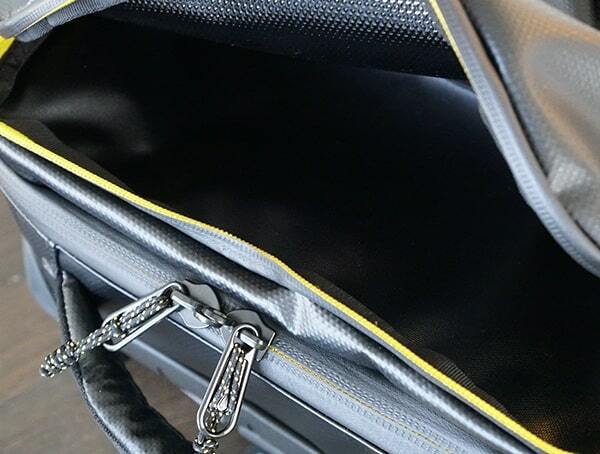 Included, you will find one large 17 inch by 12 inch folder bag, one medium sized cube bag measuring 14 by 10 by three inches, and one smaller cube bag measuring 10 inches by seven inches by three inches. 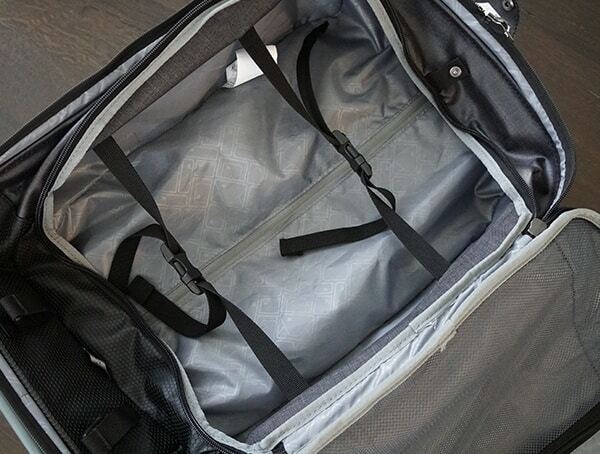 The folder weighs 15 ounces, the medium cube weighs four ounces, and the small cube weighs 2.5. 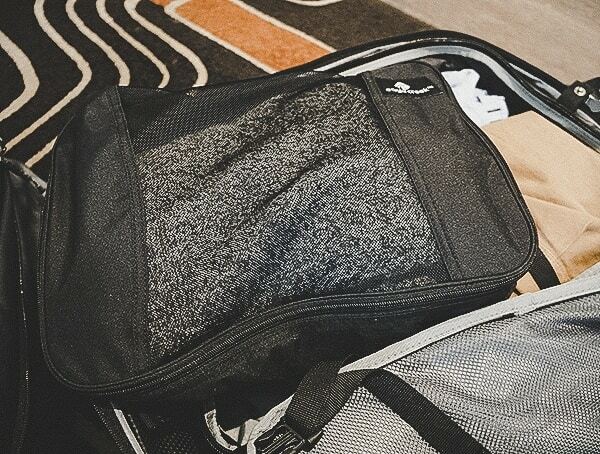 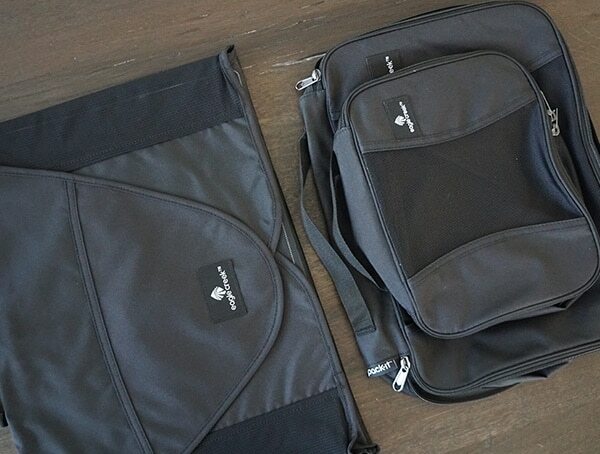 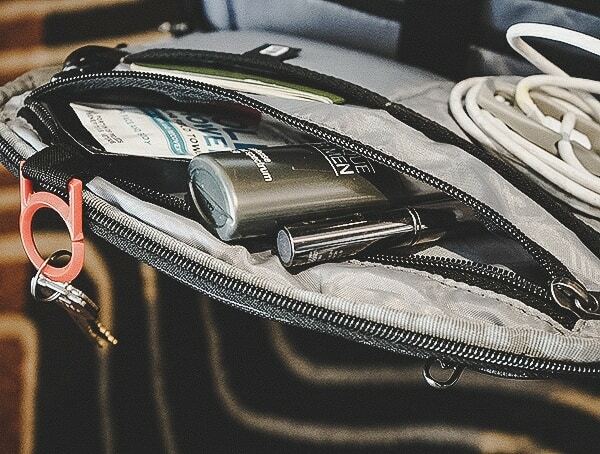 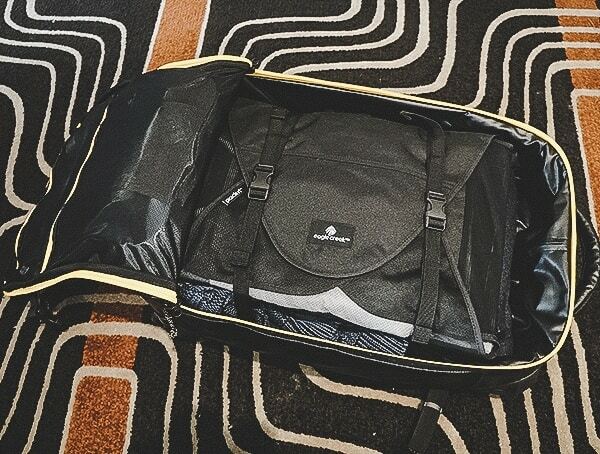 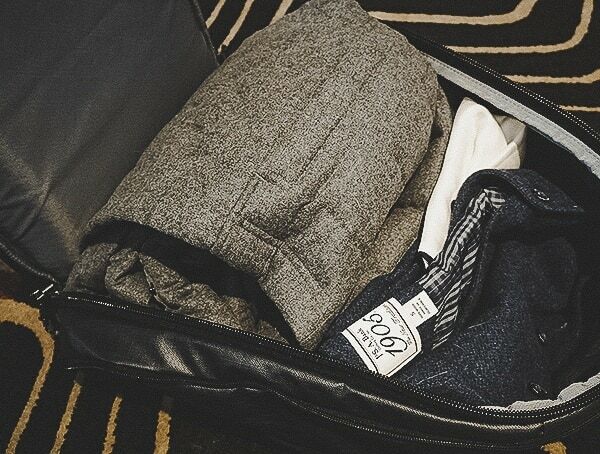 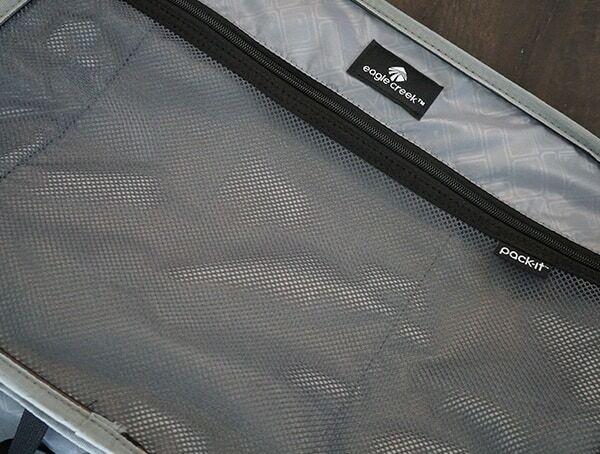 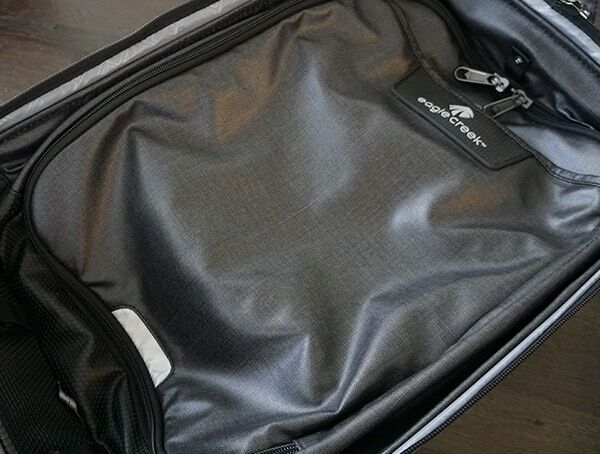 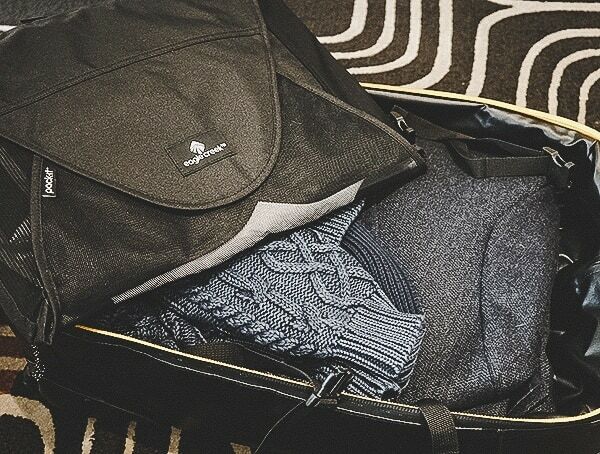 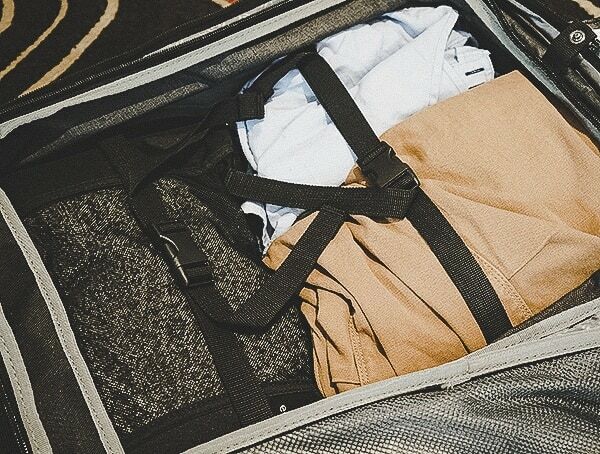 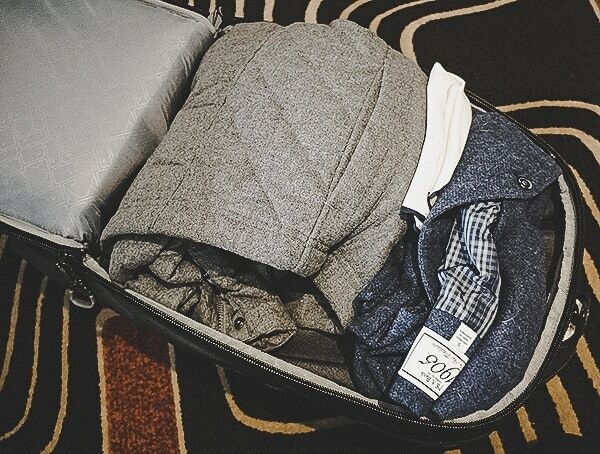 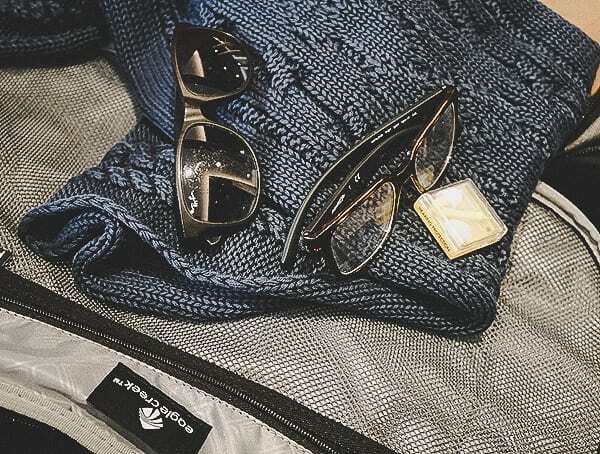 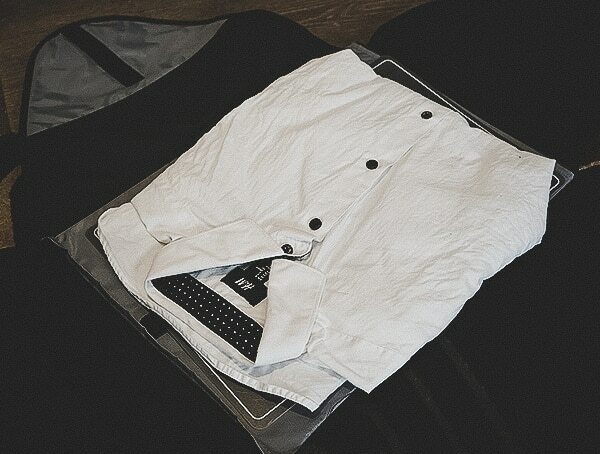 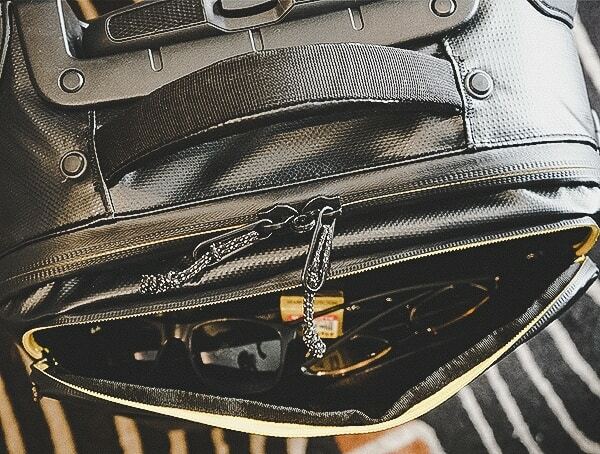 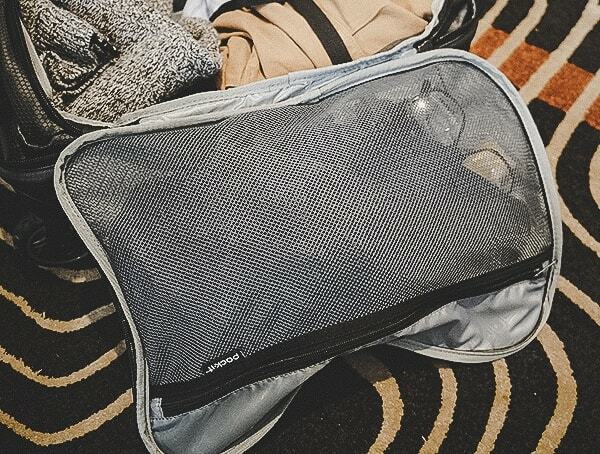 The folder easily fits into most carry-on suitcases and helps in compressing eight to 12 dress shirts or slacks, while also minimizing wrinkles. 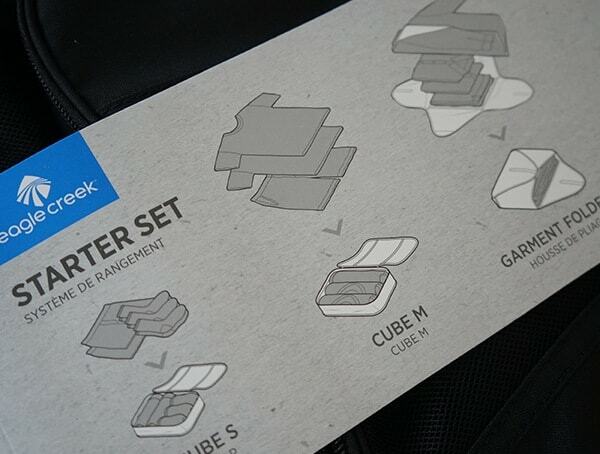 You can roll and compartmentalize your clothing items with its handy cubes and it includes a useful folding instruction board as well. 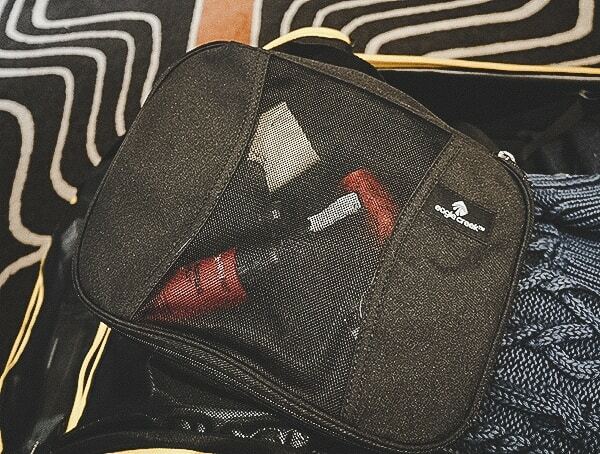 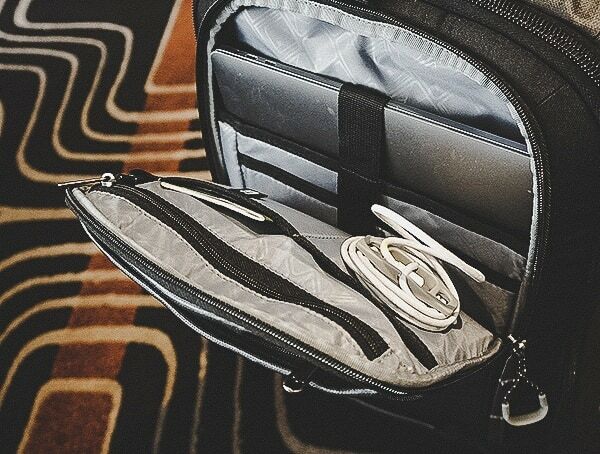 The compartments are also perfect for countless other smaller items, including electronics power cords, belts, ties, scarves, socks, undergarments, and more. 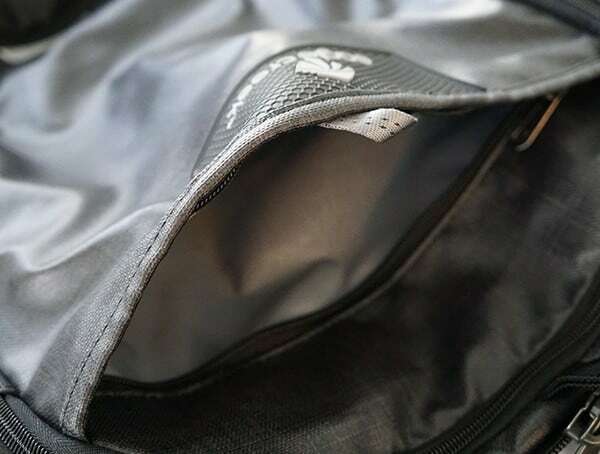 The mesh top offers superior breathability and visibility and they feature two way zippers for ultimate compression and convenience. 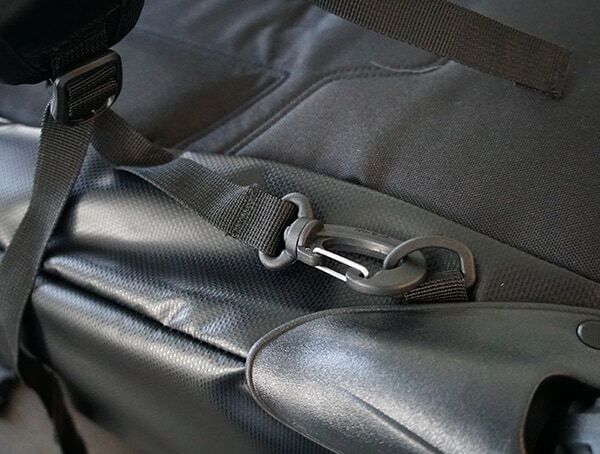 The bags are washable, making cleaning and maintenance a breeze and include easy carry handles at the top. 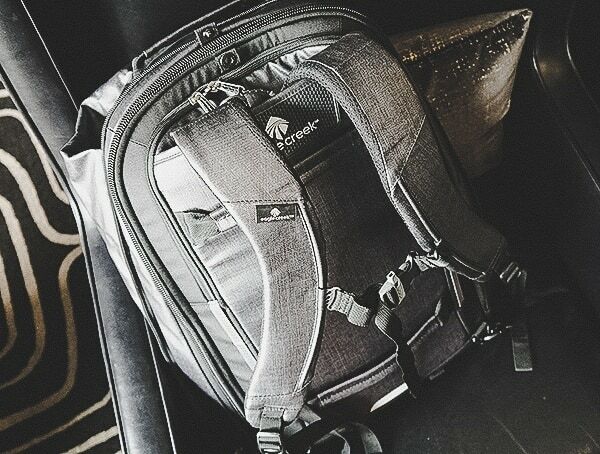 Extremely durable, the Pack-It Original Starter Set is comprised of 300D Poly Micro-Weave material and designed to withstand even the roughest of use and harshest of conditions. 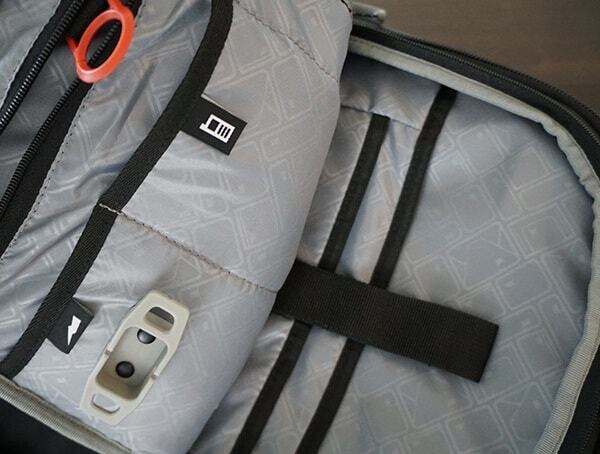 The Pack-It Original Starter Set is available in four fun and stylish color combinations. 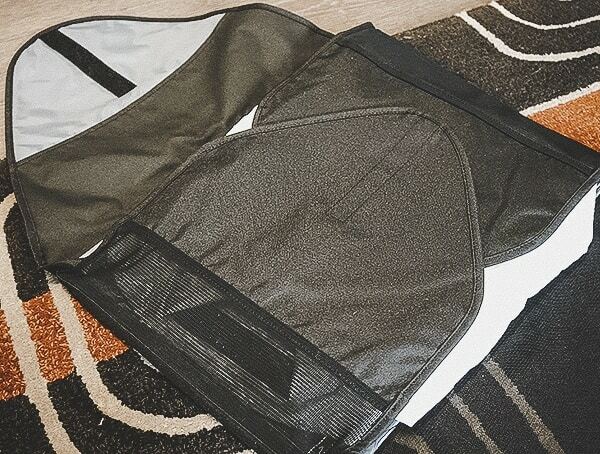 You can choose from a sleek black and gray design, a bright blue and white combination, a bold red and white, or a delightful and whimsical pattern featuring a taupe colored background and adorable travel items like shorts, tents, vests, boots, bikinis, and more! 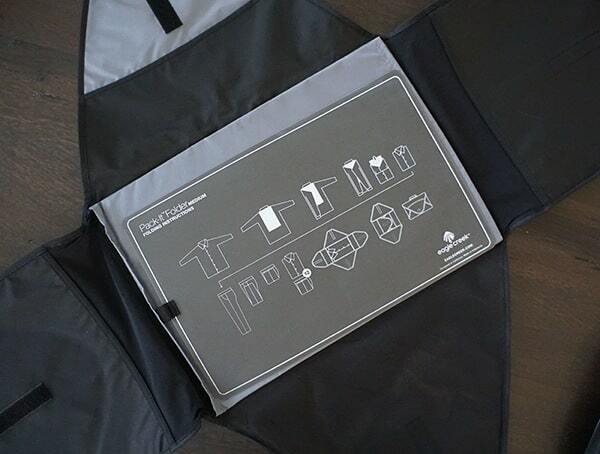 Not only will all your items be neatly and efficiently stored away, but you can choose a design that best suits and represents you too!